Last weekend there was a wonderful free choice learning event at Lincoln City Oregon – The Remotely Operated Vehicle Competition. It was so much fun to watch and perform the role of judge. This is an event that is sponsored by the Marine Advanced Technology Education Center and numerous local and national sponsors. The most interesting thing to me is the level of excitement that surrounds these events from all involved. However today I am going to write about one particular participant from last Saturday’s event. This particular sophomore chaired his team for the Rovers portion of the competition which meant they were competing at the level to win the only slot to move forward to the international competition and prize money to help offset costs. This particular participant had a serious of events on Saturday that would make any person, young or old most likely walk away from the competition. 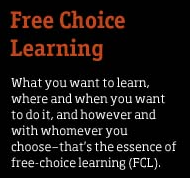 In my mind his actions truly embodied what it means to be a good sport, but the aspects of free choice learning. Posted in Equipment, Events, Free-Choice Learning, Games, International, Partnerships, Students.